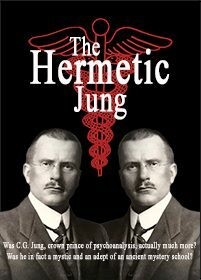 Was CG Jung, the crown prince of psychoanalysis, actually much more? Was he in fact a mystic and an adept of an ancient mystery school? If Sigmund Freud was the father of Psycholanalysis then C.G. Jung was perhaps its’ uncle. But was he something more? Acclaimed esoteric author Gary Lachman presents compelling evidence that Jung was also a mystic; a disciple of Hermes Trismegistus and a student of ancient, occult wisdom who explored paths of consciousness within the human psyche…and beyond. It’s perhaps unfair for anyone to have two glittering careers, but this precisely describes Gary Lachman. In a former life he was one of the original members of New Wave rock band, Blondie. Today he is an acclaimed esoteric and occult author.